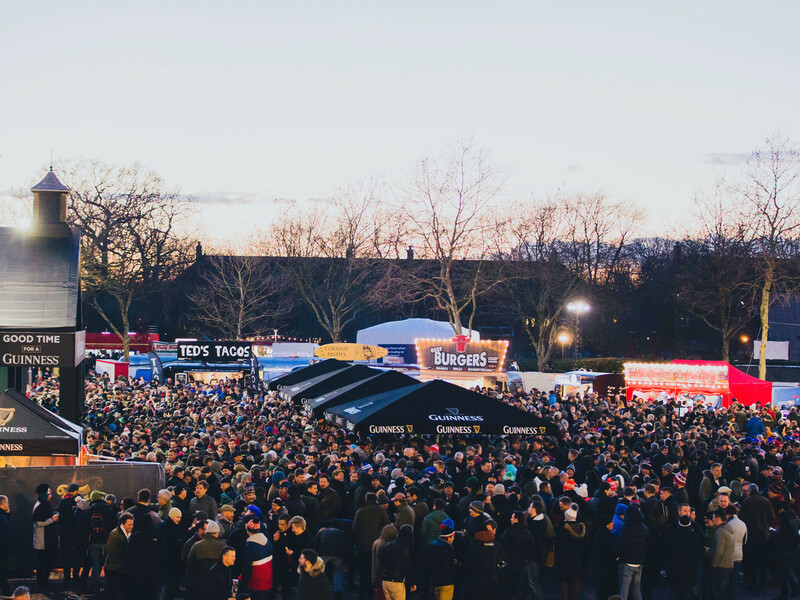 Experience the electric atmosphere in the British Airways Fan Village as fans gather together in the lead up to the game. Enjoy the live music, classic highlights and live interviews on the big screens and the extensive range of food and drink on offer in the British Airways Fan Village. Quench your thirst at the Guinness Surge bar, Majestic Wine bar or Bollinger bar and find something to eat from a huge variety of food outlets including Jerk chicken, hot dogs and fish and chips or donuts for something a little sweeter. 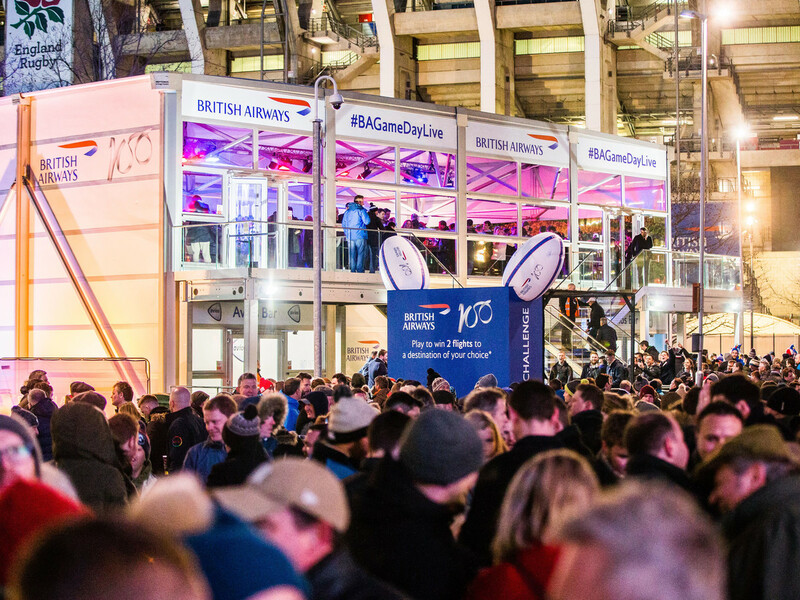 Visit the British Airways activity in the British Airways Fan Village and show us your try-scoring moves for your chance to win a whole host of prizes, including Avios Points and 2 flights to Japan. 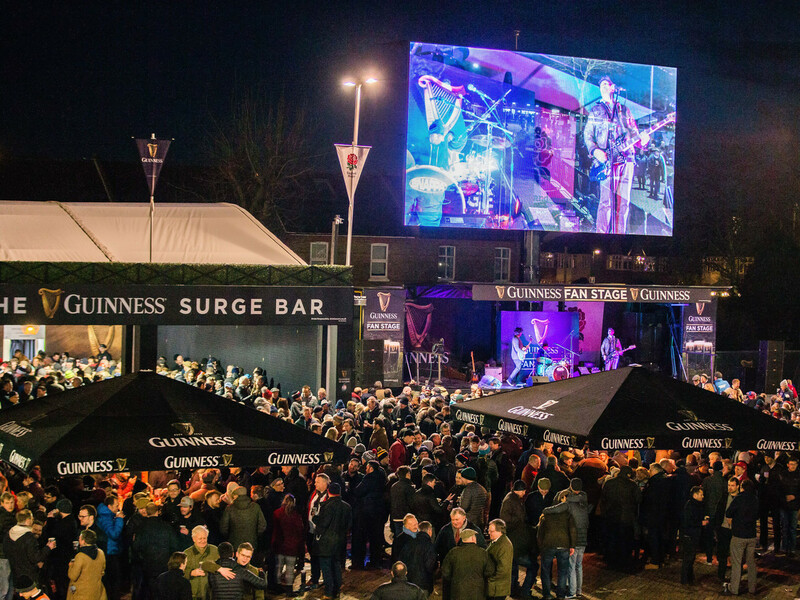 Make sure you also check out the Guinness Fan Stage where there will be great acts, bands and videos exclusive to the British Airways Fan Village today, with special guests and games to get you in the rugby spirit! The off-field action for Priority customers takes place in the O2 Blueroom. Head there before and after the game if you are an O2 customer for onstage entertainment, Q&A's with some of the players fresh off the pitch, and a free pint and pasty, on O2 (pasty pre-match only). 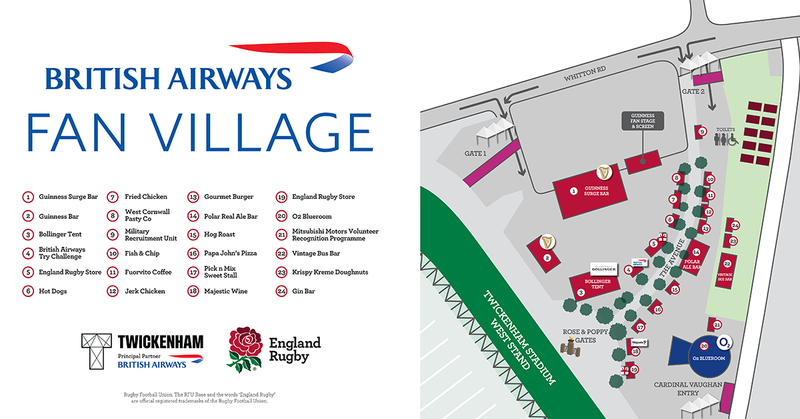 Please be aware that access to the British Airways Fan Village is strictly for ticketholders only, with new turnstiles in place just across from the England Rugby Store. Please ensure you have your ticket ready for access to help the flow of people into the ground.